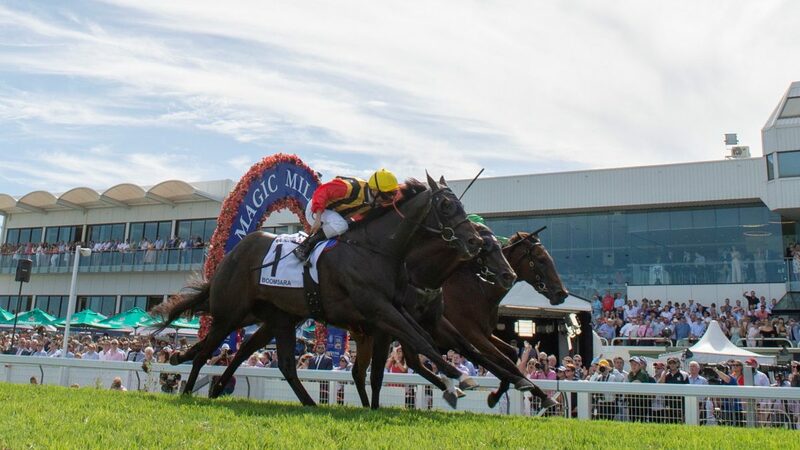 In a huge result for the thoroughbred industry in Queensland, Chris Munce’s gallant Spirit Of Boom gelding Boomsara refused to be beaten in a thrilling three-horse war in Saturday’s $2 million Magic Millions 3yo Guineas at the Gold Coast. 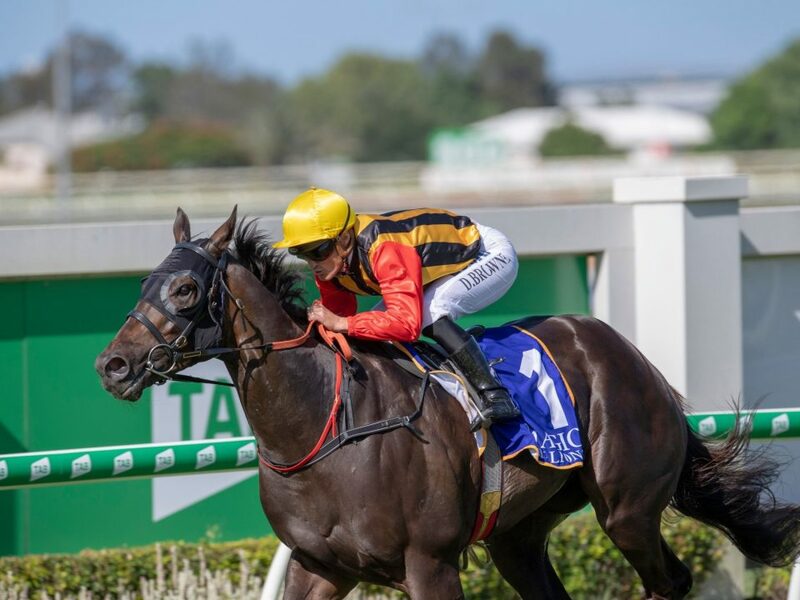 With Tim Clarke receiving a late call-up after Damien Browne was rushed to hospital the previous night with a perforated bowel, Boomsara raced up on the speed but needed to call on all his courage to stave off the challenges of the Snitzel colt Bondi and the ever-consistent Spirit Of Boom filly Outback Barbie. The margins were a nose by a nose. “As a rider I suppose you don’t realise or appreciate the hard work that goes into getting horses ready for a day like today,” Munce told AAP. “Now that I’m training you map out plans and hope it all comes to fruition. Jockey Tim Clark praised Boomsara’s courage. “I probably preferred to draw wide and let him stride across rather than be drawn in and have to bustle him,” Clark said. 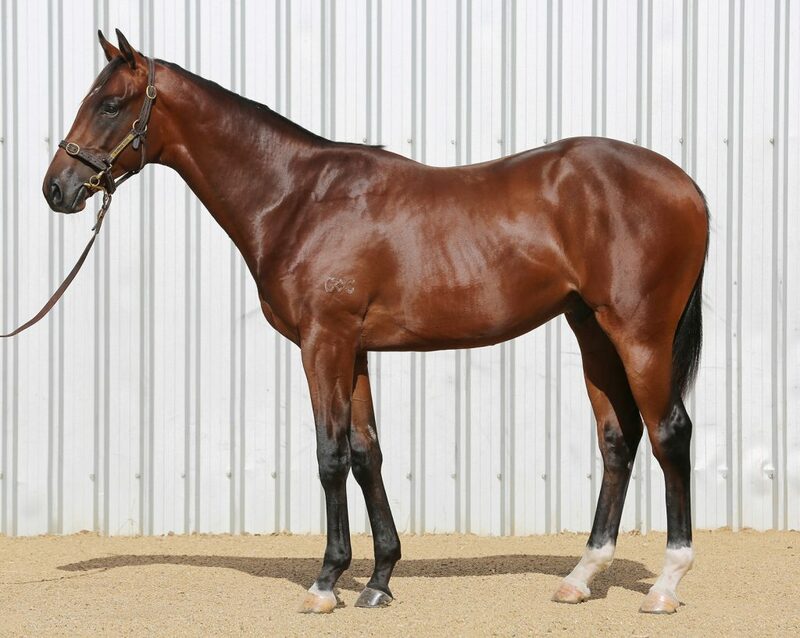 “He had to do a bit of work to get across but once he did he travelled comfortably. He couldn’t quite get away from them at the top of the straight when he needed to. 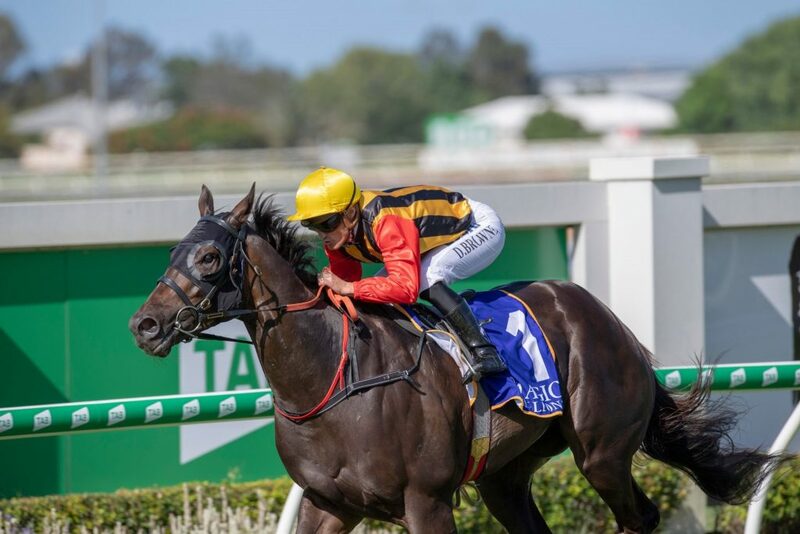 A last start 4-length winner of the Group III Vo Rogue Plate at Doomben, Boomsara has a real love affair with the tight Gold Coast circuit with three wins and a second in four starts. 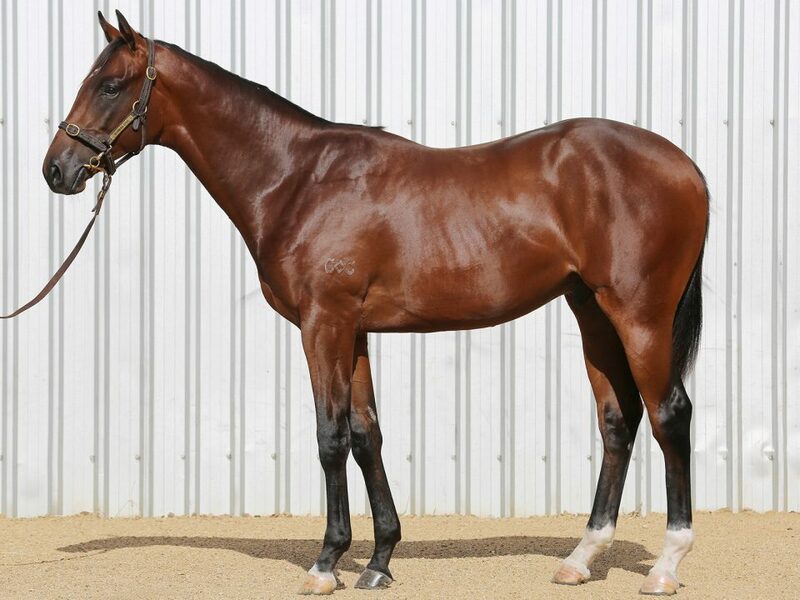 Carrying the colours of his breeder, Eureka Thoroughbreds, Boomsara advances his record to 4 wins, 2 seconds and 1 third from 10 starts with earnings of $1,566,400. 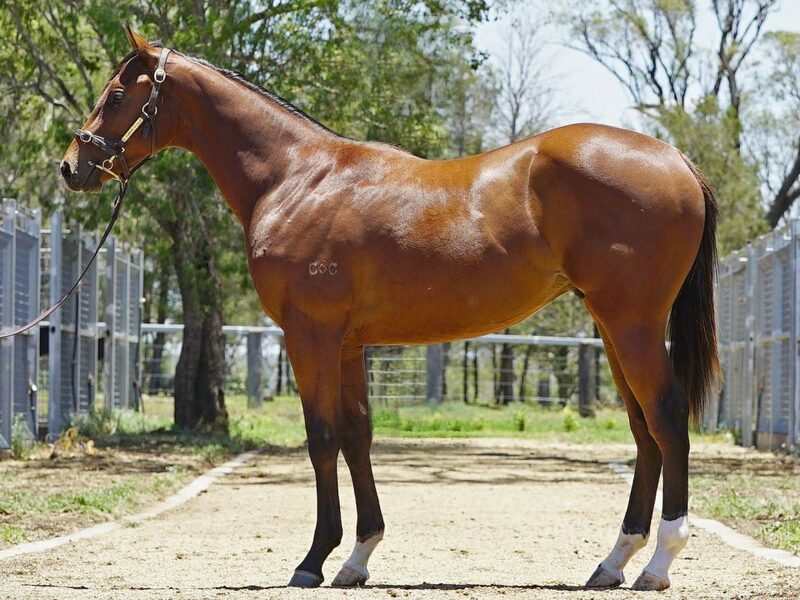 A $45,000 purchase by his trainer out of the Eureka Stud draft at the 2017 Gold Coast March Yearling Sale, the son of Spirit Of Boom is a half-brother to three winners including the stakes-placed Sarisara (Red Dazzler). 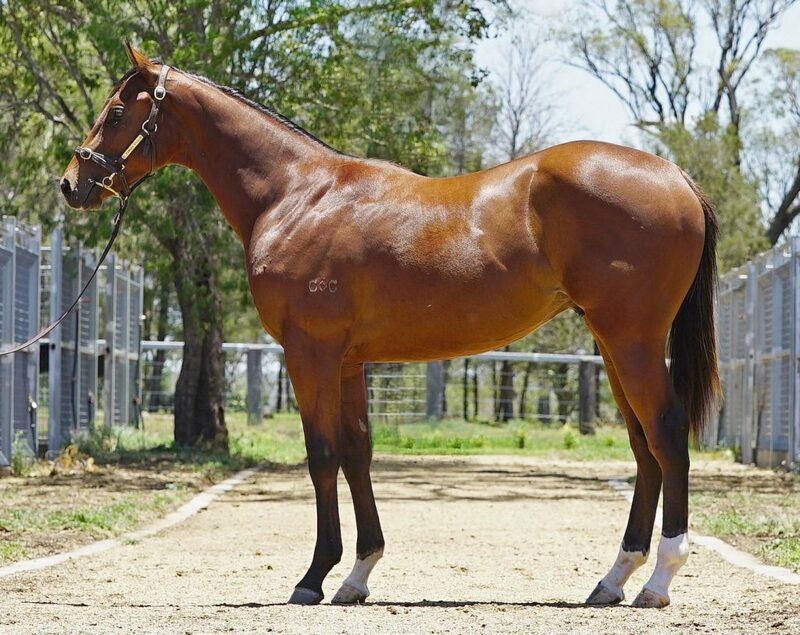 He is of the Tsuimai mare Passara who had a full-brother to Boomsara make $150,000 to the bid of China Horse Club/Newgate Bloodstock at the opening session of the Magic Millions Gold Coast Yearling Sale.